Wordsmith! 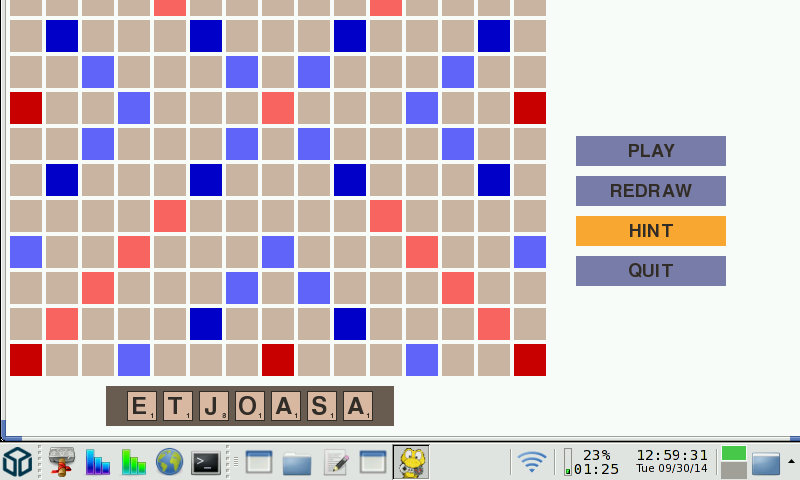 is a python based Scrabble clone with a nice GUI. I enjoyed playing against the computer very much! 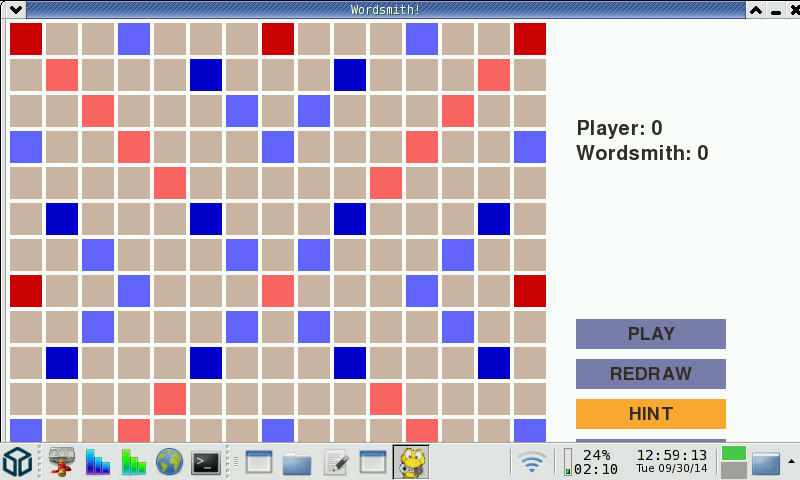 Nice UI and fairly challenging AI for a native English speaker and Scrabble fan. Thank you for this!